Being involved in a motor vehicle accident is stressful enough, you should not have to worry about the many important legal details involved in such an accident. In order to ensure that you are legally protected and that you are adequately compensated for any personal injury or property damage you incur, you need an experienced accident attorney working on your behalf. At the office of Frederick A. Costello, we are experienced in handling a variety of motor vehicle accidents. 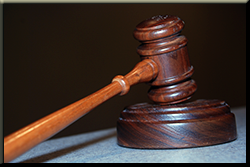 It is very important that you have legal representation if you have been involved in a motor vehicle accident. We will take care of you so that you do not incur any unnecessary expenses. We will also work tirelessly in order to protect your rights so that you receive any compensation you deserve. Contact us as soon as possible following any motor vehicle accident you are in so that we can promptly begin working on your behalf.